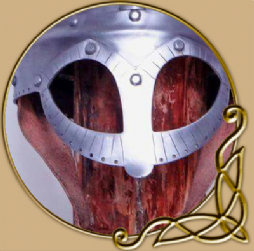 The Viking Store is proud to present our vast range of Reenactment products. 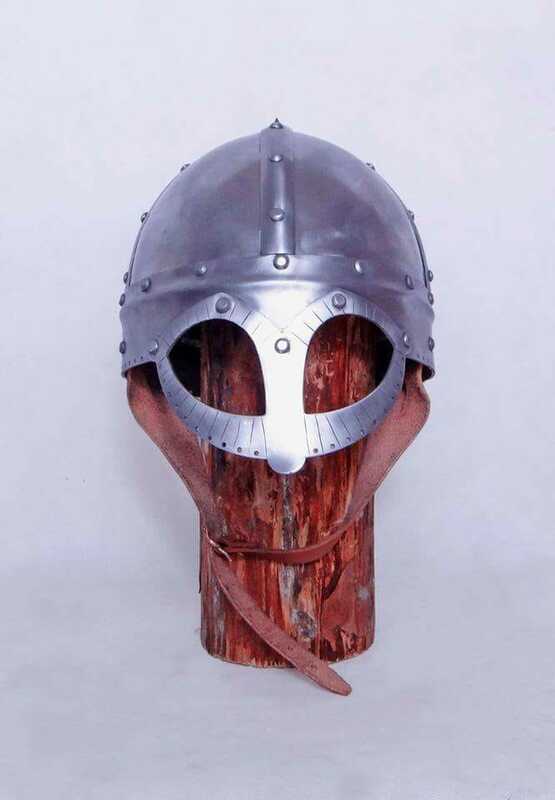 These helmets are specifically designed to be worn for fuller target fighting where head shots count, although they come without padding / armour underneath which is recommended with this fighting type, these helmets are worn at Wolin and are regularly used in our trainings to take a beating. As well as this, they are designed on a famous helmet type known as the Gjermundbu helmet, which is an authentic replica of the original. Upon ordering this, please email us the circumference of your head, so we can made this helmet manufactured to your specifications with regards head measurements, and comfort ability, so its just right. Its important in sports combat / reenactment that all protective gear is made in such fashion, and not bought off the shelf, to ensure the right fit. Please note, this item is made manufactured to order: Usually dispatched in 2-3 months.